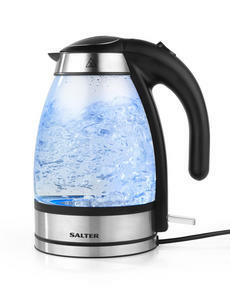 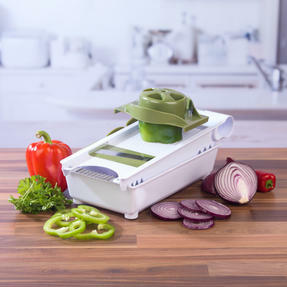 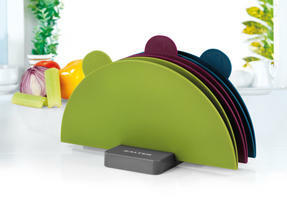 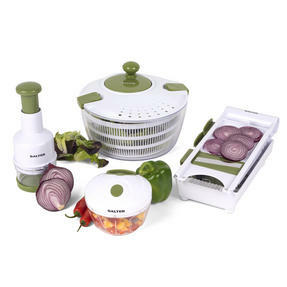 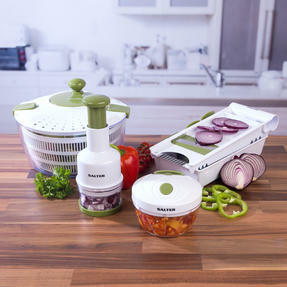 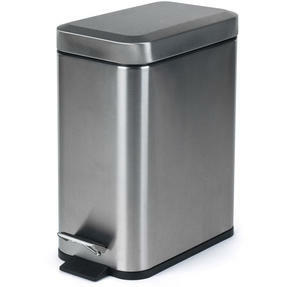 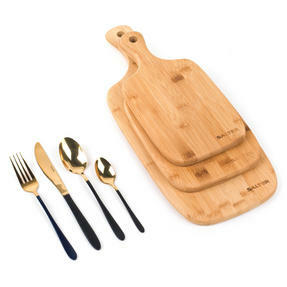 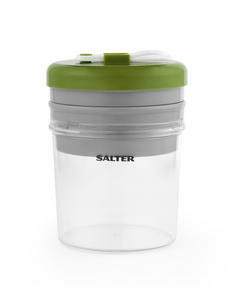 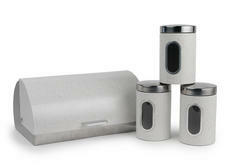 Prepare healthy meals with no mess, fuss or hassle thanks to this fantastic Food Prep Set from Salter. The set includes a mini chopper, press chopper, salad spinner and mandolin for quick and efficient food preparation with minimal effort. Both choppers and the mandolin feature stainless steel blades in order to fully slice your ingredients making it easy to whip up vibrant salads or prepare tasty snacks. 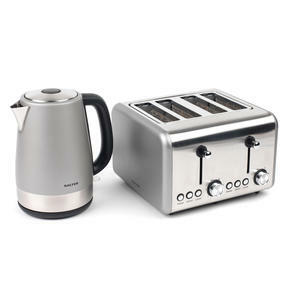 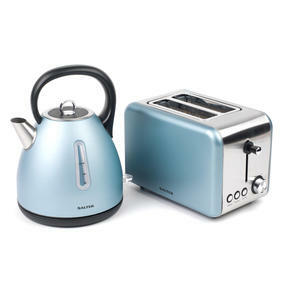 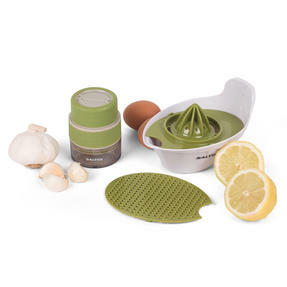 In a smart green and white, these kitchen gadgets are the perfect addition to your kitchen. 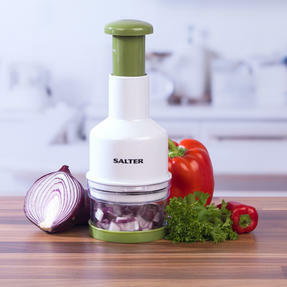 Enjoy healthy meals and tasty low calorie snacks with ease thanks to this all-encompassing Food Preparation Set from Salter. 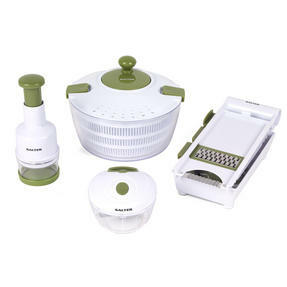 The set includes a mini chopper, press chopper, salad spinner and mandolin for quick and efficient food prep with minimal effort. The mini chopper, press chopper and mandolin feature quality stainless steel blades in order to effortlessly slice your ingredients. 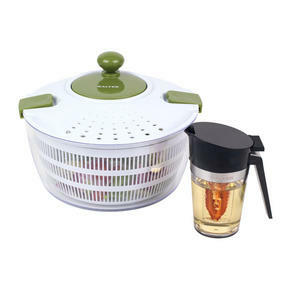 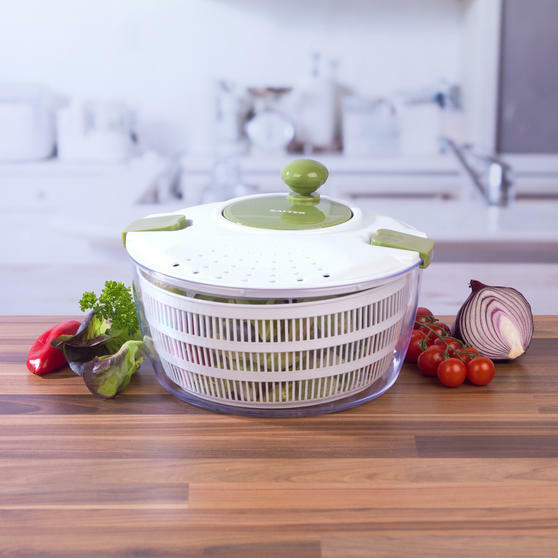 The salad spinner has a slatted inner bowl which holds the salad and spins, while a stationary outer bowl efficiently collects water. 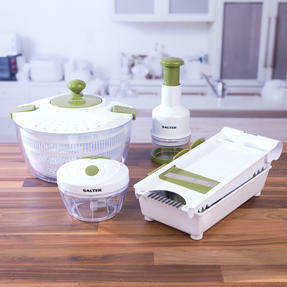 Made from wonderfully strong and durable plastic, this set is finished in white and green, making a perfect addition to your kitchen.